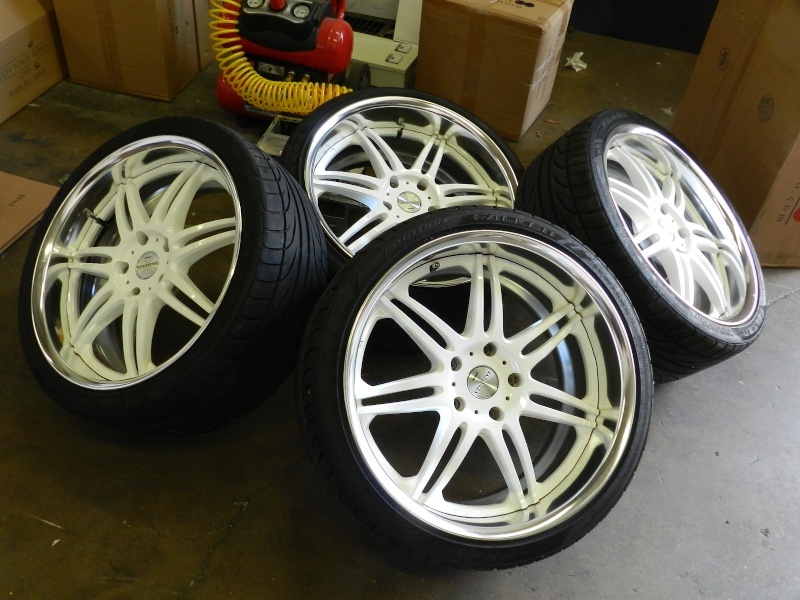 WORK VARIANZA T1S 19X8.5 19X10 CUSTOM 2 PIECE !!! WheelSwap » Market Place » 5x120mm & 5x120.65mm » 19" Wheels » WORK VARIANZA T1S 19X8.5 19X10 CUSTOM 2 PIECE !!! 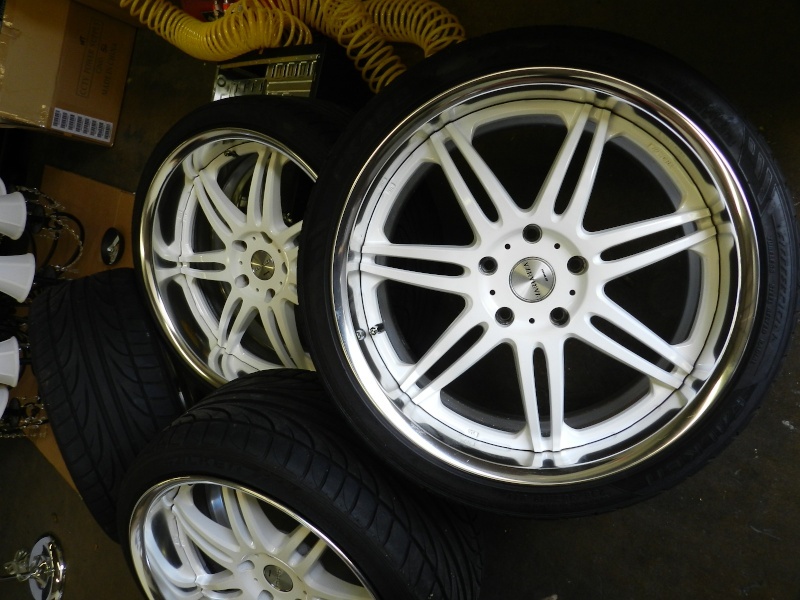 I HAVE FOR SALE A MINT SET OF DISCONTINUED WORK VARIANZA T1S WHEELS. THEY ARE STAGGERED SET UP IN 19X8.5 +32 O DISK AND 19X10 +32 O DISK. 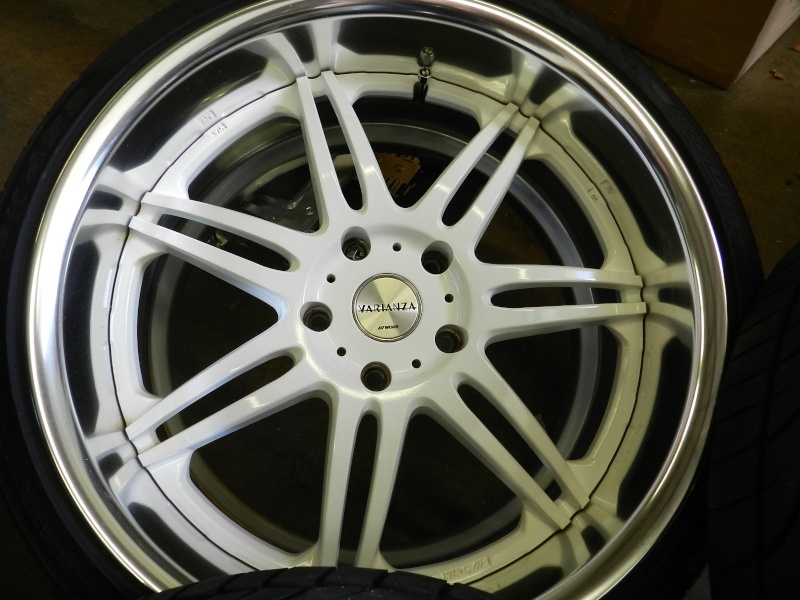 CUSTOM BMW BOLT PATTERN AND CUSTOM WHITE CENTER COLOR WITH A POLISHED LIP. WHEELS ALONE WERE ALMOST 3K. 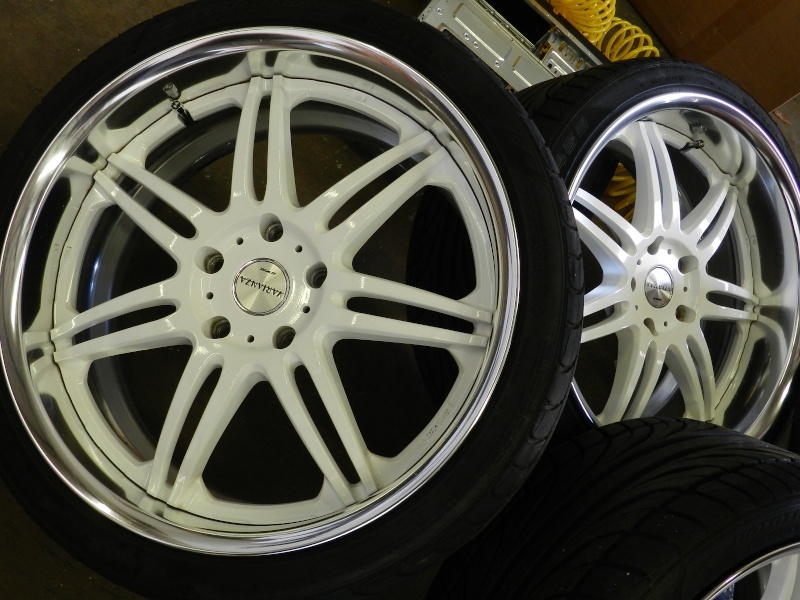 TIRES ARE ALSO INCLUDED ALONG WITH TMPS SENSORS, TIRES ARE FALKEN 235-35-16 AND 265-30-19, REARS WERE RECENTLY CHANGED !! ONE WHEEL HAS A TINY BARELY NOTICEABLE NICK AND THATS IT , ALL STRAIGHT NO BENDS, CURB RASH ETC .... EXCELLENT CONDITION !! !